What makes your campus unique? 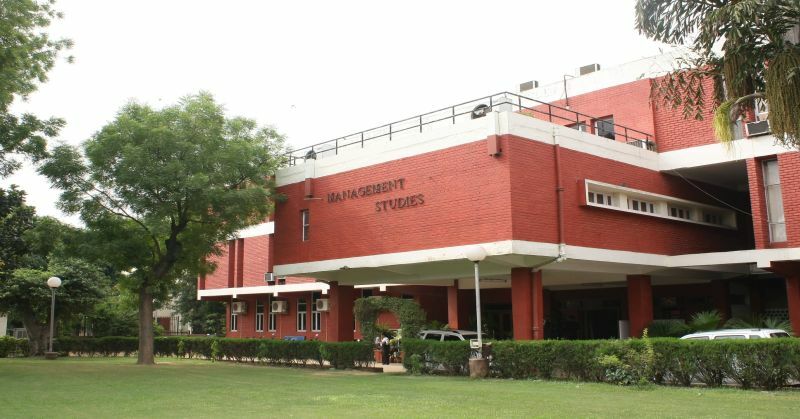 The campus offers experiential learning with a healthy interaction between students. Being a small campus, we are a well-knit organization, which helps us to bump into each other and ease the tensions after a hectic day and form relationships and build camaraderie. The thing I most like about the campus is almost completely managed by students and a better manager at school will definitely be a better manager of a company. The society sessions run by seniors are wonderful engagement platforms where the concepts are broken down to help us understand better. At the same time, they can also measure their understanding of the subject. In this short stay of Delhi, I liked the Merchants of Delhi competition. It was a completely unique experience, as we really had to market ourselves with the bare minimum of resources. It was fun watching, performing and learning from others. The girls definitely have a greater market value than boys. I faced many disappointments initially and actually did not earn much. But every rupee earned was like a lesson earned. To get rid of our inhibitions and express ourselves was really wonderful. I also got a measure of the different types of people and their problems. Ishvinder Singh: We became roommates on phone. He is from NSIT and has a 3- year Work-ex in an IT startup Play rummy. He resides in Delhi. He is actually a cool character. I have never seen him nervous in spite of being bundled with lot of work. A fellow Telugu who happens to be my roommate. He has completed Electrical Engineering from BHU Varanasi and has a 2-year work ex in Sales. He is also expecting his results for CFA level-II. He appears to be clumsy and blows hot and cold. He is very easy on the tongue an has a huge heart when it comes to spending. He took one session on Finance and floored the girls. He is very gutsy and gels well with all easily. A soft-spoken Punjabi who has completed her graduation from Hansraj College, She has a 3-year work Ex at AT Kearney. She is fun loving and can’t get enough of dogs. She can spend hours admiring dogs. She is a Bengali who has settled in my hometown, which is Visakhapatnam. Our first conversation was quite interesting as the odds of knowing Telugu and being from the same hometown are quite rare for a Bengali in a South-Indian town. She is a crazy foodie and can’t get enough of the Delhi’s street food.